Natural Health News — People who suffer from major depression can benefit from regularly participating in yoga and deep breathing classes. Major depressive disorder (MDD) is common, recurrent, chronic and disabling. Due in part to its prevalence, depression is globally responsible for more years lost to disability than any other disease. Up to 40% of people treated with antidepressant medications for MDD do not achieve full remission. This new study, which appears in the Journal of Alternative and Complementary Medicine, used Iyengar yoga, which has an emphasis on detail, precision and alignment in the performance of posture and breath control (coherent breathing). It looked at different weekly ‘doses’ of yoga (i.e. 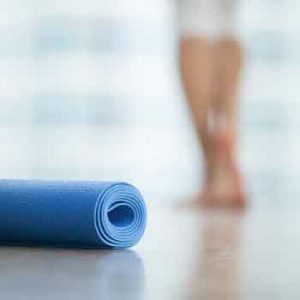 how frequently participants took part) and provides preliminary support for the use of yoga-based interventions as an alternative or supplement to pharmacologic treatments for depression. » Major depressive disorder can be hard to treat and remission rates with drug solutions are high. » Practice in a group, but also at home, produced beneficial results. Individuals with MDD were randomly put into either a ‘high dose’ group which involved three 90-minute classes a week along with home practice, or a ‘low dose’ group, two 90-minute classes a week, plus home practice. Both groups experienced significant decreases in their depressive symptoms. Although a greater number of subjects in the high dose group improved, the researchers believe attending twice weekly classes (plus home practice) may be easier for some to fit in and is still an effective way to gain the mood benefits from the intervention. “This study supports the use of a yoga and coherent breathing intervention in major depressive disorder in people who are not on antidepressants and in those who have been on a stable dose of antidepressants and have not achieved a resolution of their symptoms,” explained author Chris Streeter, MD, associate professor of psychiatry and neurology at Boston University School of Medicine and a psychiatrist at Boston Medical Center.